Those of you who have been in University/College for a while understand how hard it can be to successfully go through a semester without a plan. For those who are just starting out, you need not be making your own mistakes, you can learn from mine and avoid feeling overwhelmed altogether. After a couple of rough beginnings and mid-semester re-strategising, I finally figured the way to plan for a successful semester. This is how I stay up to date with all my deadlines, keep track of my assignments and schedule study sessions around these assignments and deadlines. 1. Make time for a planning and evaluation session. After the first day of classes, when I have the curriculums for all my classes, I set aside some time to read through all of them and get a sense of what the workload for each class might be. It is important to do this before the add & drop period ends so that I can evaluate whether or not I will be capable of taking all the classes at the same time and switch to less demanding courses before it is too late. If you are anything like me, you are an over achiever and want to take the hardest classes possible every single semester. Although this may boost your ego, it may harm your overall academic performance. When picking your classes, you must be realistic in what you can and cannot fit in to your schedule and what amount of work you are able to take on at a time. In my second year of college I decided it was okay to take 2 third year level courses and 3 second year level courses and an art practicum. Needless to say, I was emotionally and mentally exhausted by the end of the semester and was constantly playing catch up. Although I was sure and indeed could grasp the concepts discussed in all these classes, I didn't factor in the other commitments I had outside of class or the amount of homework I would need to do for each of the classes. Therefore, even if you love all your classes and feel capable of taking on the material, consider the work load that each class will require of you beyond attending the class before you commit to a ridiculous schedule. Half the times, you can take one of the classes in another semester and take a less demanding course now in order to manage your time and energy effectively. 2. Extract class meeting times and all assignment due dates from your curriculum. As soon as I am committed to a class, I extract all the dates from the curriculum and put it in my calendar. I write everything; from the actual class meeting times to the assignment due dates. This helps me visualise how my days would look like and how I might want to structure my study sessions in order to show up for each class prepared and to give myself enough time to work on assignments. I use both a digital calendar and my planner to do this. The planner calendar allows me to pencil-in the hard deadlines and see an overview of my school works in relation to my personal commitments. 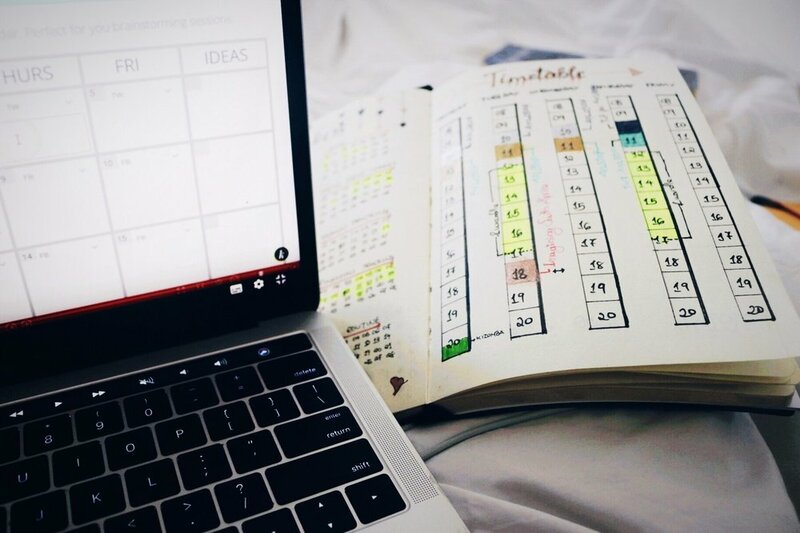 The digital calendar allows me to be more detailed, set reminders for when assignments are due, have easy access to my weekly schedule, give me an outlook of my day with time specifications and plan when I want to start working on certain assignments. In my high school, there were two hours set aside for people to read and do their homework every day. Because this was a compulsory affair and was already pre-planned in my schedule, I never noticed its usefulness. When I got to university, there was no such thing yet the expectation remained that I would study and complete my assignments on time. 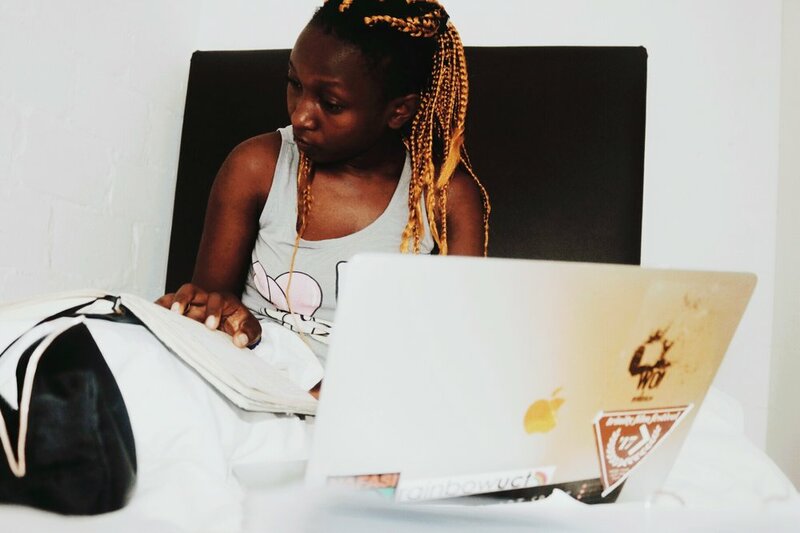 At first, I found myself spending 7 hours in one sitting on Sundays to do my homework or pulling all-nighters almost every night to make up for all the time I lost during my days. As soon as I figured it was because I didn't have a set study schedule, I started setting aside 2 hours a day for focused studying. After only two weeks, I found myself pulling fewer all-nighters and getting the bulk of my reading done more efficiently and on time. Over the years, I have discovered that I am a morning person and so I try to have all my study sessions in the morning; when my brain is fresh and ready to take on the world. It is important to figure out what times you are more productive and capitalise on those to get all your work done. If you take these steps at the beginning of the semester, you would end up feeling less overwhelmed by your academic workload and will feel much more prepared when exams come around. I am no longer shocked by deadlines because I am able to view monthly calendars with all my upcoming assignments in them, and plan to work on them weeks in advance. 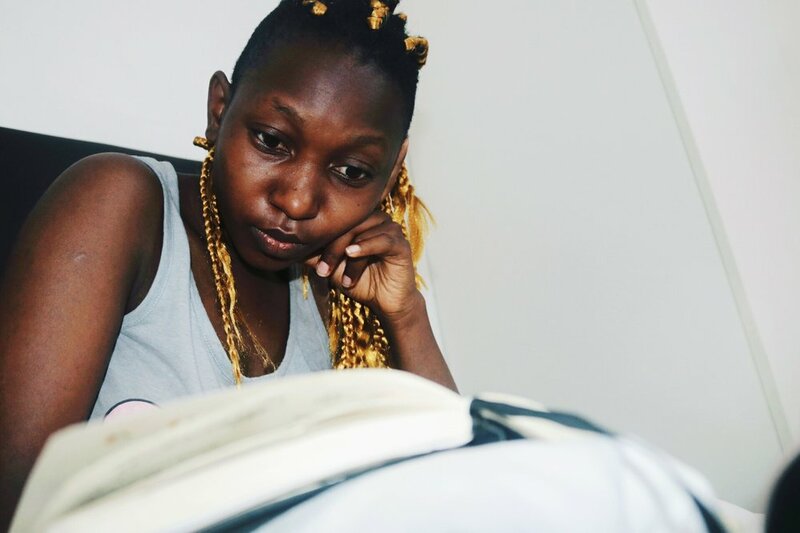 I also come to my classes way more prepared because I make effort to study every day and read for them during my study sessions. I am aware that some of you have already started classes but it is never too late to turn a disorganised mess into a successful semester so feel free to set aside some time to do this for the rest of your semester. That's it! Feel free to leave a comment down below or share your own planning strategies.